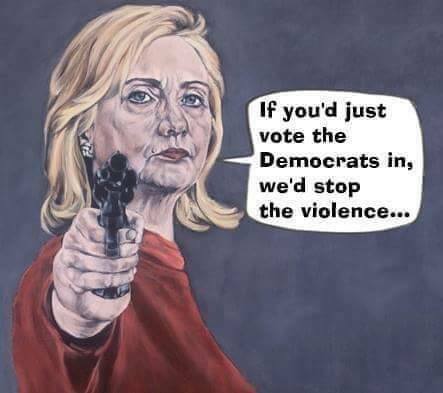 Democrats are calling for more and more violence against Republicans until they vote Democrat. 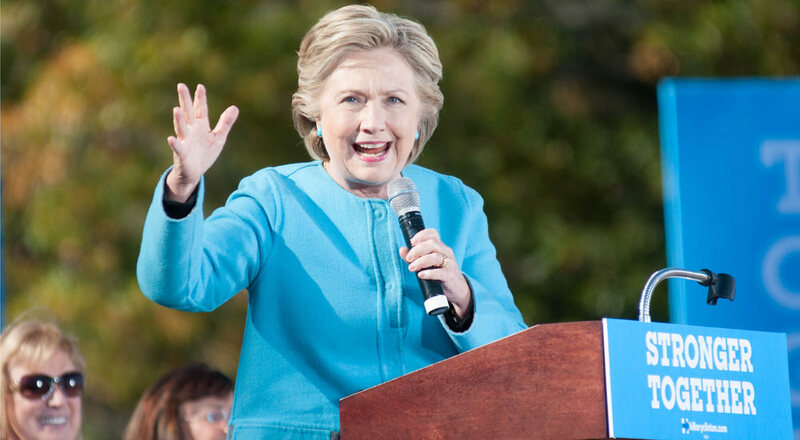 The Clintons won’t go away. Is that good for Democrats when their old stars won’t step out of the way for young stars to rise? All the young Democrats are worse! What Democrats want is someone who can truly deceive the people to follow Democrats down their road to Hell as Obama did. Young Democrats have embraced the ideology of socialism and the fascist self-righteous hypocrisy of which it is born. They have become the homegrown anti-Americans. They are the veritable “barbarians at the gates.” They are an uneducated mob raging against civilization. They scorn republicanism, Christianity, and America, the land of the free and home of the brave, the shining city on the hill, the last bastion of freedom, and the greatest foe of tyranny in the world. President Trump gave 60 Minutes a full interview in which Leslie Stahl spent the entire time attacking him, his policies, his agenda, and his condemnations of their fake and hateful news with which she and her cohorts bombard him. Democrats leveled every lie at him like, “Do you believe climate change is a ‘hoax?’” No one says actual climate change is a hoax. What we all say is that Democrats claiming climate change is caused by man can be controlled by man, is a hoax to get people to pay socialists to “save” them from it. Only the worst of dupes who have no understanding of science are fool enough to believe they know more science than the rest of us. Michelle Obama denounces Holder’s hateful rage setting her up for 2020 as the only Democrat preaching peace, though only peripherally. No Democrat has come out against the murders of police by BLM, the riots by them and Antifa, the attacks on free speech, or the lies being told because they embrace those lies and those attacks. They have actually come out in favor of illegal aliens and criminals voting to elect Democrats to eliminate American laws and replace them with their own. She may have hopes of pulling off what her Pied Piper husband did duping the people with high rhetoric and then delivering them into misery. Kanye West is not one of my heroes. I’m not a fan or follower. But I am proud of him for standing up against the forces of darkness and hate to fearlessly shout out the truth. He is being demonized, mocked, and belittled by the left who are in a panic that their lemmings might listen to him. If President Trump pulls blacks back to the Republican Party, he will truly not only be a new Reagan, but also Lincoln reborn. Leftism offers nothing positive, only negative. The qualities of leftism are easily codified in four simple steps. Democrats offer nothing that Americans want. They only offer what parasites, criminals, and foreign invaders desire. HATE TRUMP – All in! Democrats want more taxes and the ability to spend more borrowed money to put Americans into greater debt. They promise more free stuff that isn’t free, invoke mob rule to terrorize and coerce the people, and offer sanctuary states to illegal aliens to steal from Americans. It never ends. They’ll even give them the vote and take away the Social Security and Medicare they promised to the elderly who just need to face their death panels and be out of their way. But Democrats will never say this is their agenda even though it is proven to be exactly what they do by their own deeds. They will say they are doing what is “fair for all.” They will say they are going to benefit all Americans. It is only for Americans to remain ignorant so that they can be duped into believing that socialism is beneficial while Democrats steal America’s wealth out from under them. All they do is prove that a fool and his money are soon parted. What President Trump has achieved for America is to undo most of the damage that Obama has done. The economy is rocking like it only does under Republicans and Democrats want to take credit for it. International relations are strengthening, and Democrats strive to condemn Trump. The military is stronger, and the people are doing better, and Democrats want to turn their attention to frauds and foreign invaders as being beneficial to America. Most importantly, this president has exposed the Democrats for what they are – America hating snake oil salesmen. This election is about making America better for her citizens or taking from citizens to make it better for foreign invaders. I think the choice is simple and that the polls all lie saying Republicans will lose when they should win big. But Democrat propaganda, terrorism, and their voter fraud machine are a force to be reckoned with that Trump needs to address before 2020.